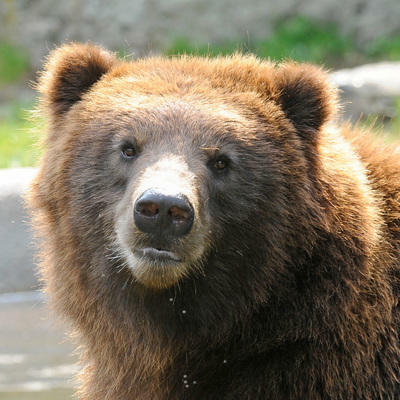 Our brown bears are a fan favorite. It’s easy to understand why when we watch them splash around in the shallow water. In the wild, some of these bears grew too comfortable around people so we brought them to the zoo as rescues. *To travel between polar bears and grizzly bears, avoiding stairs, head past Himalayan Highlands and the former World of Darkness.